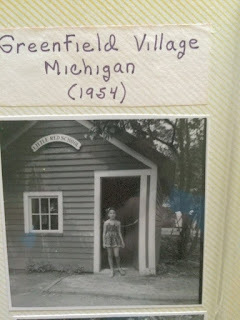 When I was in the first grade, my dad took us all to visit friends in Michigan and we got to go to Greenfield Village. I don't remember a whole lot about the trip, but we have some pictures in our album to prove we were there. 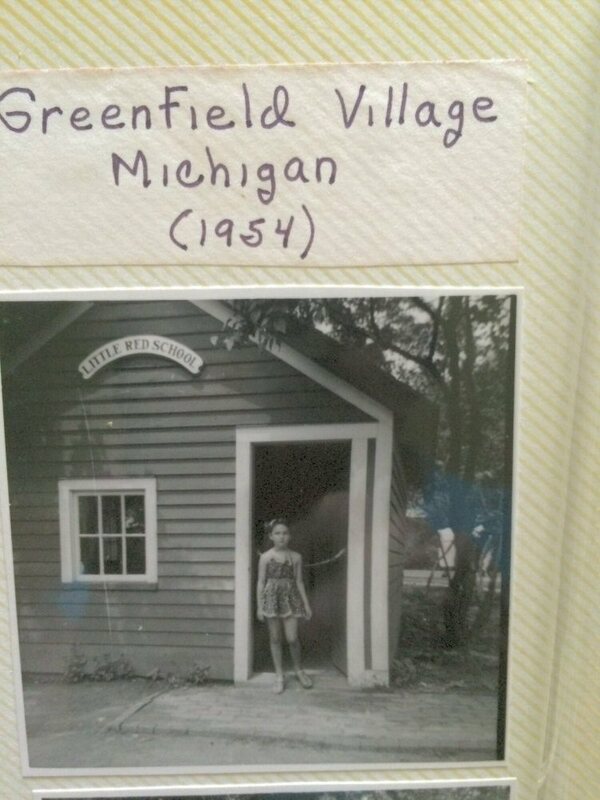 Greenfield Village is in Dearborn, Michigan, and is part of the complex with the Henry Ford Museum. At the museum you can see of course the history of car making but also so many other elements of American history. Well worth the trip in itself. The village takes you back through the years of Henry Ford's life and the development of his cars including the farmhouse where he was born. It also traces many other events in history and includes artisans and craftsmen demonstrating their talents. Then top it all off with a tour of the Ford Rouge factory and see today's cars being made. Okay, enough talk. I'm putting this on the to do list, again!